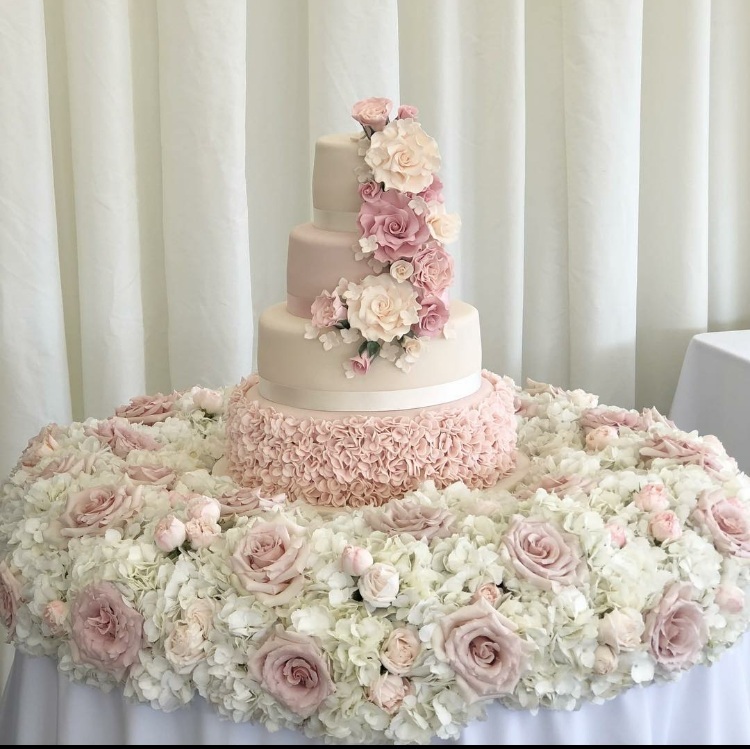 We adored working with Natalie and her Mum to design her dream wedding flowers for her marriage to Jonathan last Summer at church followed by marquee reception at Osmaston Park. Natalie wanted to create a glamorous and opulent effect with her wedding flowers, to include hydrangeas, peonys and roses in abundance. There isn’t a thing I would change about our wedding flowers. They were absolutely PERFECT!! So many guests commented on how stunning the arrangements were. They were exactly as I imagined and the marquee looked beyond amazing. I love looking back at the images of our wedding and each time I scroll past a floral arrangement my comment is always “oh I loved my flowers”. I’ve told so many people they were my favourite thing about the day- the flowers and marrying my husband of course! 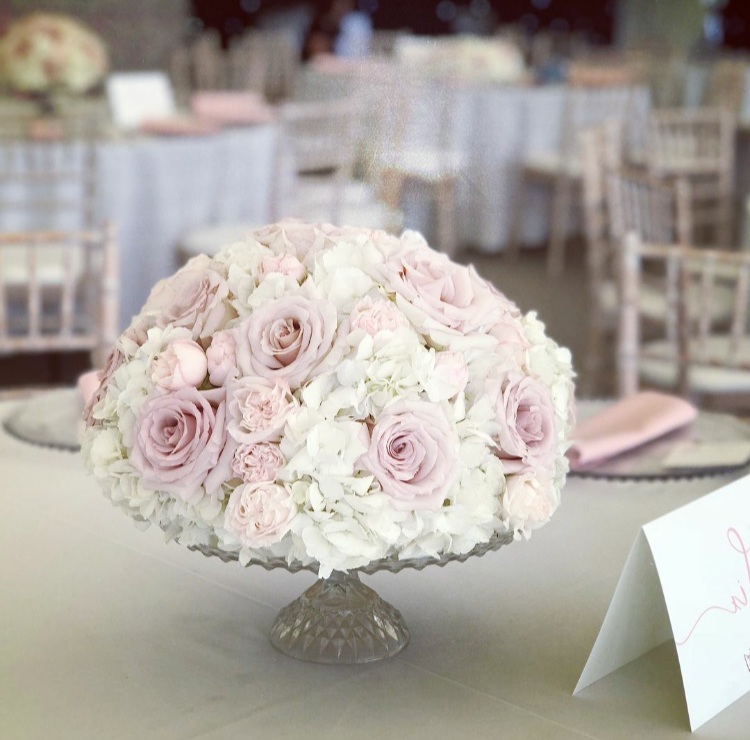 I am so happy that we chose Kerry and Tineke- it was an obvious choice really- the flowers were everything we could have wished for and the team were so helpful and accommodating. My Dad commented that our flowers were worth “every single penny”. We were delighted to provide the wedding flowers at Tissington Church. When we first met with Vicki, we clicked straight away and Vicki shared the same excitement as us for wedding flowers! Vicki had fabulous ideas,and from the start, knew she wanted vibrancy and colour within her wedding flowers, we knew it was going to be a very beautiful wedding. We discussed the use of bright and vibrant flowers, particularly to compliment Vicki's gorgeous pink hair! The flowers used included coral "Miss Piggy" Roses, pink Hydrangeas, bright blue Delphiniums to compliment the bridesmaid dresses, yellow craspedia, amazing pink Gloriosa Lilies, green Dianthus with minimal ivory and pink Astilbe to soften. We were thrilled when Vicki decided to decorate the archway at Bentley Brook with the same vibrant flowers as used to decorate the rest of the venue. We also filled huge milk churns for Tissington Church, which were then moved over to Bentley Brook after the ceremony. Milk churns were also filled with the same flowers to decorate the tables at the venue, as well as the Grooms bikers helmet and boots! Vicki's fabulous Jimmy Choo shoes really added to the gorgeous colour, picture below! Thank you to Becki at Red Square photography for the fabulous images.